I worked together on a team with two fellow UX Designers. My role was UX Designer and Researcher. 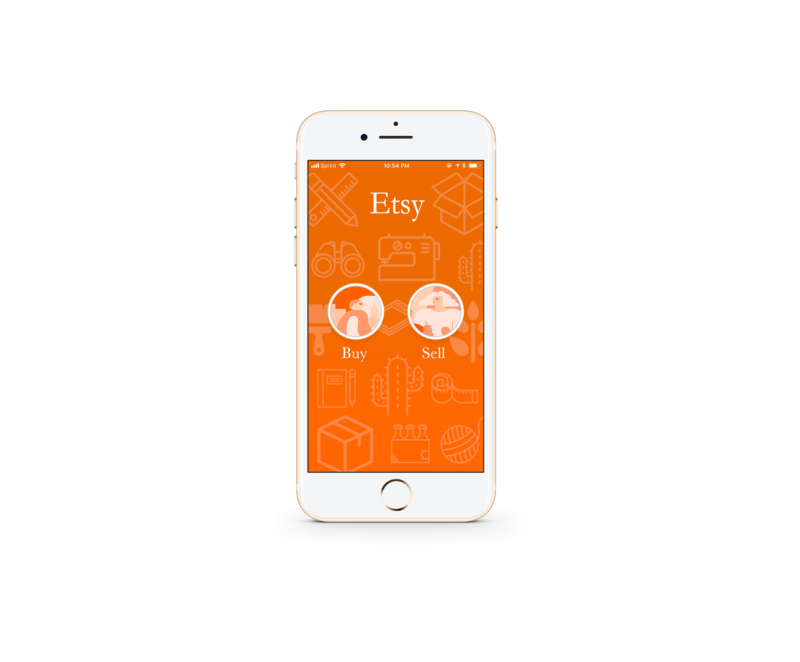 A major niche in Etsy consists of those offering customizable items, so that wares can be more individualized to the customer. At the time our project was completed, there were limited options for which a customer can request a customization. 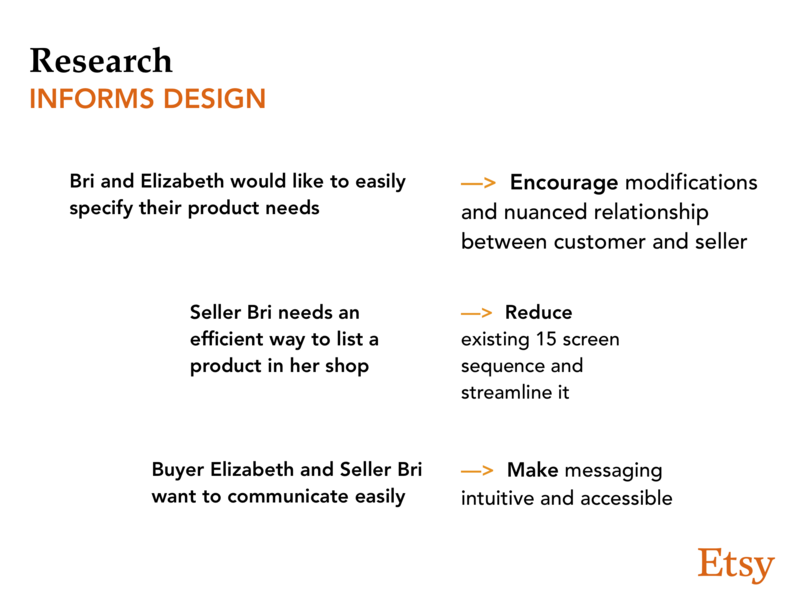 It usually came down to messages or emails between customer and seller which can potentially get messy and confusing for both parties involved. 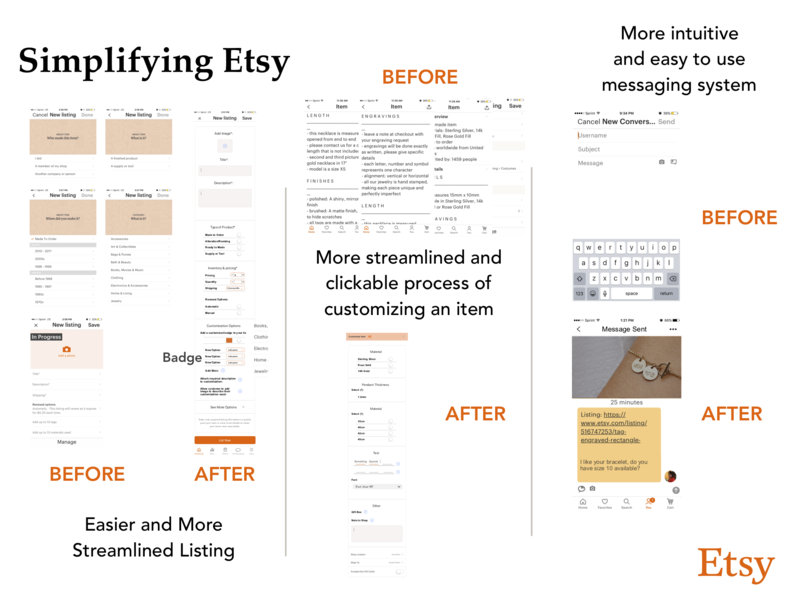 How might we provide buyers and sellers a more streamlined and nuanced communication regarding customized items, so that Etsy feels more personal and efficient? 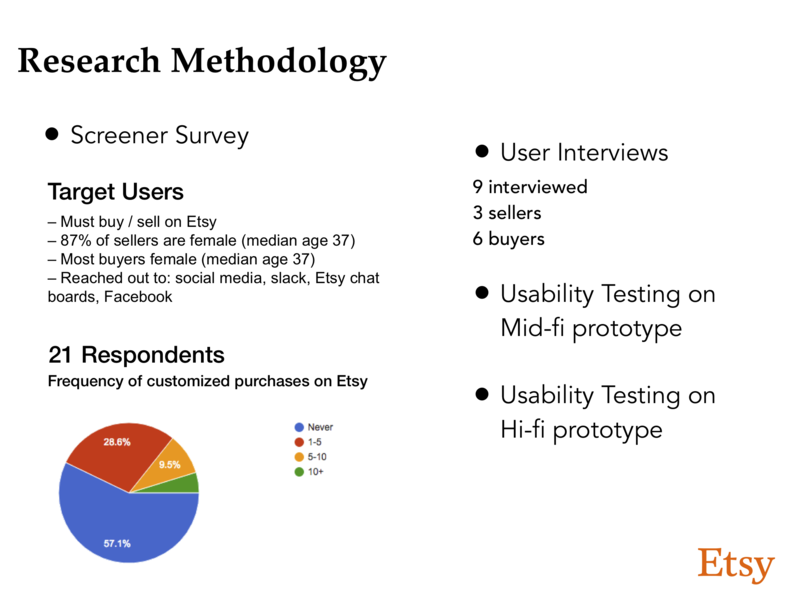 We kicked off the research phase by identifying Etsy's customers and sellers and sending out a screener survey in order to collect interviewees. 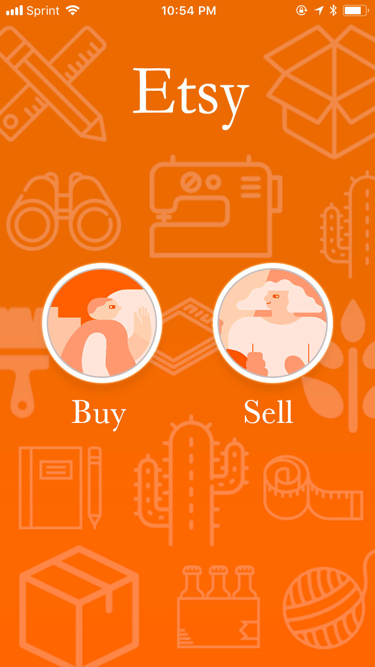 We received about 20 responses and were able to speak with 3 sellers and 6 customers. We translated our business and interview research into a few succint problems and goals in order to design effieciently. In the design phase we started with a quick design studio, in which we put pen to paper and hammered out the basis of our design. 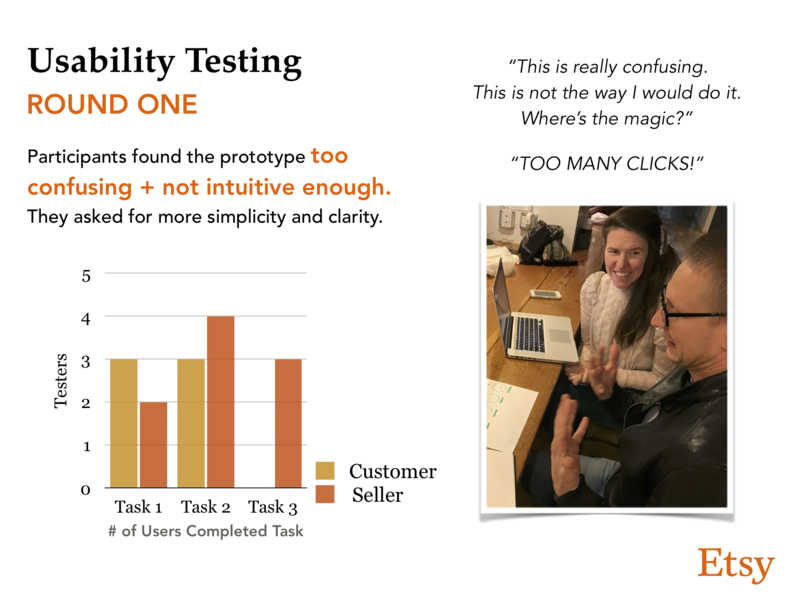 We then moved from mid-fidelity wireframes, a round a testing, high-fidelity wireframes, another round of testing, iterations on high-fidelity, and a final round of testing. 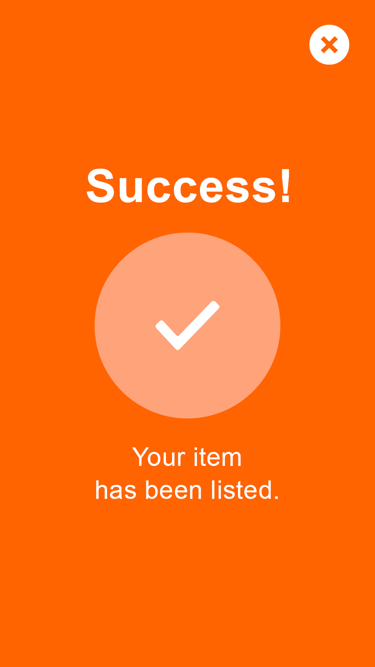 -The process to list an item on the seller's end consisted of many screens and clicks with no indication of how many steps it would take. 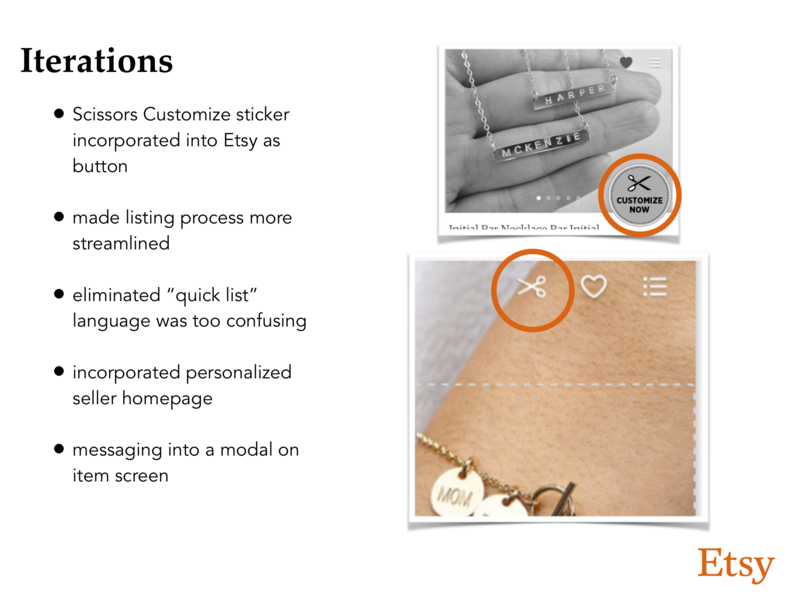 There were also few options for a seller to communicate customization. 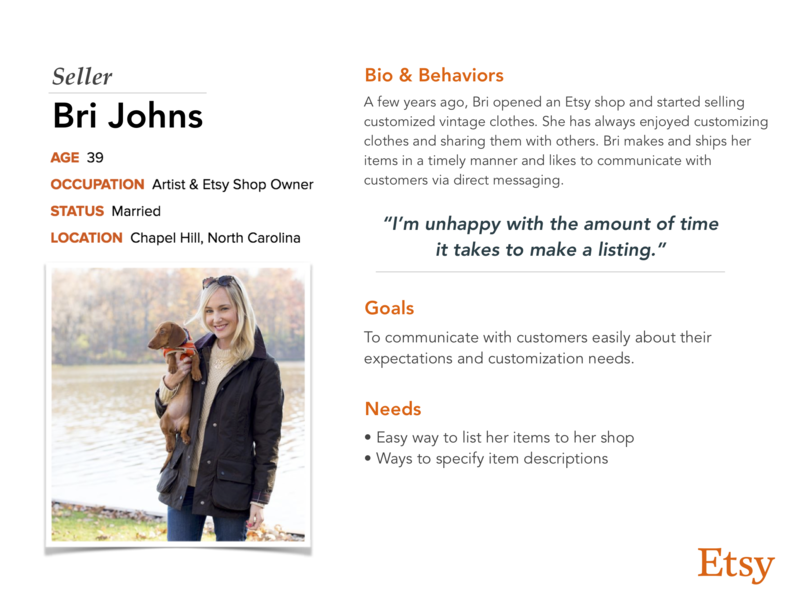 As a result, sellers may not complete the listing process or fail to give enough information about a product. -Customers are not sure where to express specific customization information and sometimes fail to give pertinent requests like size or color. 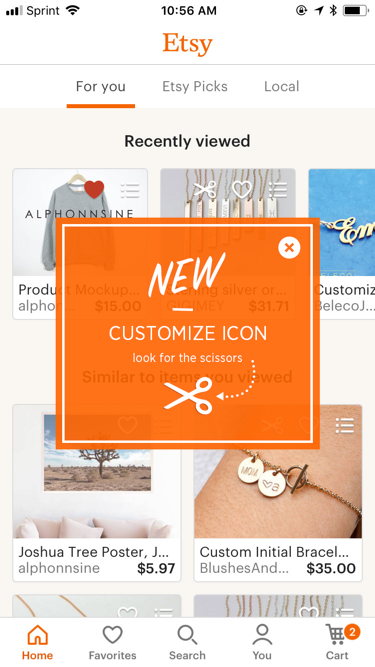 In our initial sketches, we considered where customization communication was lacking and how it could be made better on both the buyer's app and the seller's app. We found that users had difficulty identifying customizable items in the first place, so we decided to make customizable items more prominent and gave more options on both ends to express specific and necessary customization information. 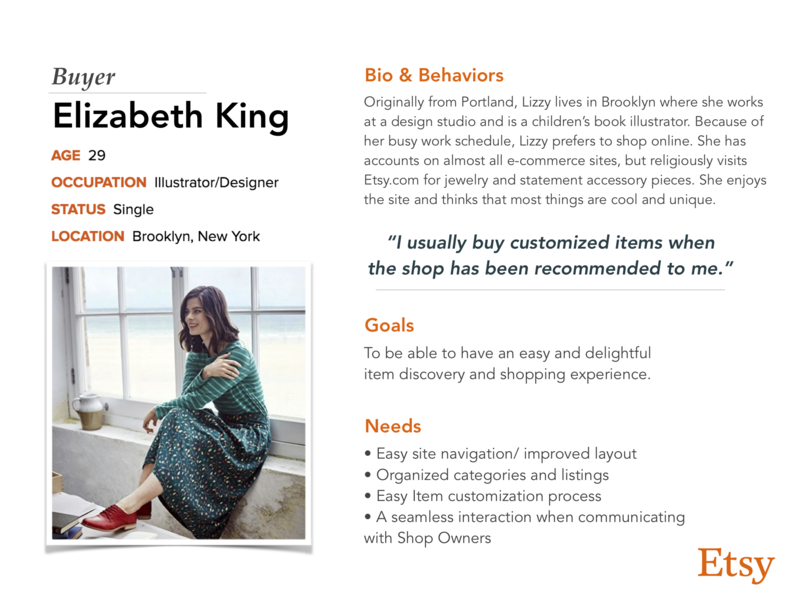 We began with mid-fidelity wireframes in order to focus less on branding and content and more on the specific feature we were integrating. After gathering that users still found themselves clicking too often in order to express a customization request, we attempted to streamline the process further while moving on to high-fidelity wireframes. 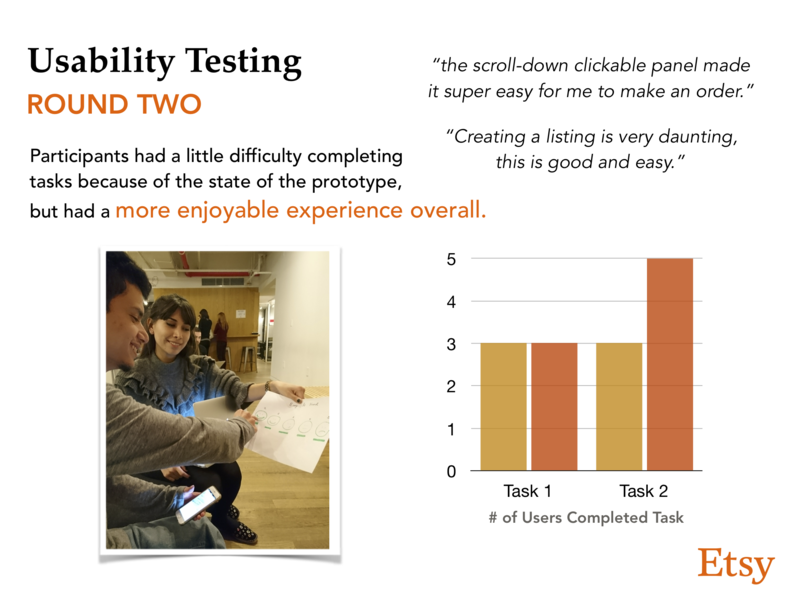 In a second round of testing, we found that users appreciated the options and process of customizing, but had some difficulty navigating. I'd love to discuss this project further. Feel free to contact me here: allitoussaint@gmail.com ﻿or check out another of my projects here﻿﻿.